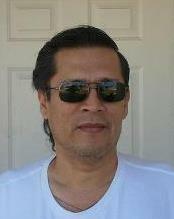 My father, Luis Gamboa, Jr. is a 58 year old man who is extremely ill. He had a stroke a few years ago and has since been diagnosed with diabetes, congestive heart failure and end stage kidney disease. Dad is in need of a life-saving kidney transplant and requires the help of the community to help make this happen. Dad grew up in McAllen, Texas which is located in the Rio Grande Valley. He is a wonderful father to my sister and brothers and myself, is very close to his parents, as well as his brothers and sisters and is a good friend to many. Dad worked in construction, as a draftsman for many years. He is extremely knowledgeable in this area and could build a home from the ground up. Unfortunately, his health has declined and he is no longer able to work and do the things he once loved doing with his family. He looks forward to receiving a transplant, going back to work and doing so much of what he has always enjoyed. Even with insurance, there are many expenses that must be covered out of pocket. Some of these expenses are co-pays, deductibles, lab fees and clinic visits. In addition, Dad will be on a life-time of anti-rejection medications which can cost over $1,200 per month. To help with Dad’s uninsured expenses a fundraising campaign in his honor has been established with HelpHOPELive, a trusted non-profit organization that has been providing community-based fund raising guidance to patients and their families for more than thirty years. All donations are tax-deductible, are held by HelpHOPELive in the South-Central Kidney Transplant Fund, and are administered by HelpHOPELive for transplant related expenses only. Please consider a contribution. Your support is critical to ensure that Dad’s prospects for the future are bright. On behalf of Dad and our family we thank you for your kindness, generosity, support and prayers.